Visit OPA website for more information and scheduled events. 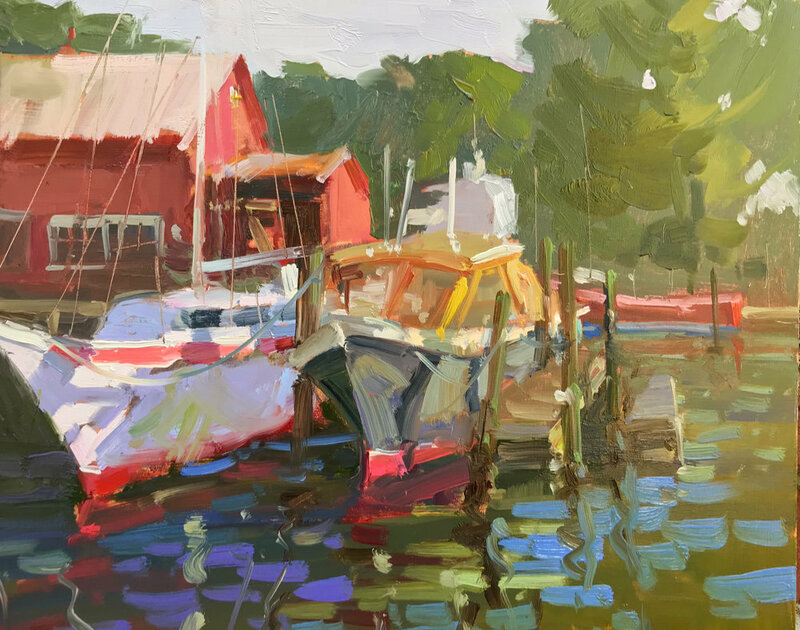 Join Lori for her demonstration during Plein Air South. Color! Learn to see it; learn to use it. First I will share tips on how you can learn to actually SEE better color. Then, watch as I demonstrate ideas for when and how to use color to create vibrant paintings while still maintaining good color harmony. This presentation is tentatively schedule to be held outdoors. Invited alumni will participate in events during Plein Air Easton which will include a Paint Out Day and “Coffee and Conversation Live Streaming Event”. Specific dates and times to follow. Join Lori Putnam for an engaging and energizing demonstration and lecture. Four days of painting inspiration, lectures, demonstrations, and presentations. Lori's participation includes the opening address, "Manner of Speaking: Objective and Subjective Chatter," an additional demonstration and lecture, "Purple and Green Make Blue," as well as an outdoor demonstration and painting in the field with attendees every day. Register online to save your space! For a complete list of faculty or to register, visit http://yallcomepaint.com. Join Scottsdale Artists’ School and Lori Putnam for an engaging and energizing demo at the Scottsdale Museum of the West. During the evening, Lori will use a study as a reference to paint a larger painting and will detail her process of sketching vs. painting. 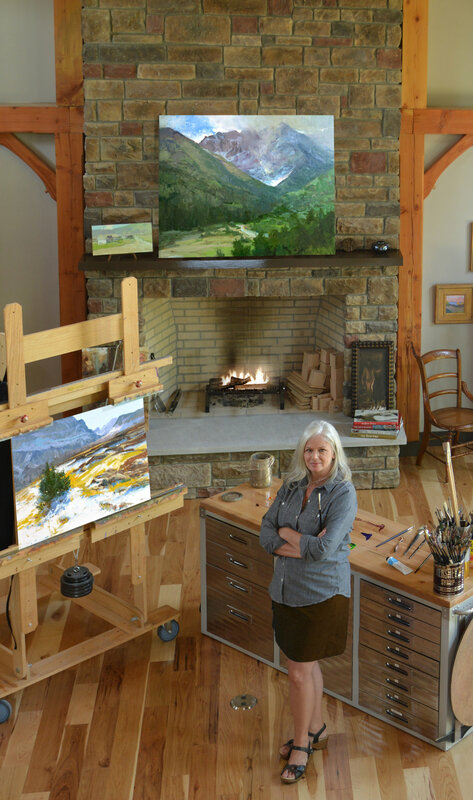 Lori will convey the advantages of working both en plein air AND in the studio and how they compliment one another. Lori will provide her thoughts on ways each setting can help artists grow to become a better painter. She believes plein air work is investigative while studio work is creative. As a natural part of the painting process, Lori will also touch on mark making, color, and other fundamentals. $20. TICKETS AVAILABLE AT THE DOOR or clicking here. Click here to learn more or to reserve your seat. Immediately following the free Open House and Studio Tour from 1–3 PM, I will be giving a demonstration and lecture from 3-5:30 PM. NOTE: This event is free to 2017 Tennessee Workshop participants. A gathering of the Southeastern plein air community featuring 4 days of painting inspiration. It is a pleasure to serve on the faculty of #PACE17. This will be my 6th year and I am just as excited as ever. Having demonstrated several times in the past, this year I will be taking a more relaxed role as a field instructor. That means I will be painting every afternoon, demonstrating in the field, and helping other attendees with painting questions. If you are coming, I certainly hope you will find me. I am always happy to be of assistance. Also be sure to stop by the Gamblin Oils, Rosemary Brushes, Raymar Art, and EdgePro Gear booths. I'll be providing helpful advice and demonstrations throughout the convention in those booths as well. If you have yet to register, I hope you will consider it. There are only a few seats left! As good fortune would have it, the pre-convention workshop is with my wonderful friend and mentor Quang Ho. This is not a conventional type of workshop. You will not be painting along. Instead, you are invited to absorb as he demonstrates and presents his visual approaches to painting. Personally, having studied with him many, many times, I still cannot wait to be part of this. Every artist, no matter what level, should attend. If you possibly can, plan to add on this extra to your convention registration. It is truly a once-in-a-lifetime opportunity! To see all of the highlights of the convention and to register, visit PleinairConvention.com. Drop by for a tour, have a little refreshment, chat with old friends, and maybe take home a painting or two! and more being added every day including items for non-painters and collectors (hint, hint). (Coincides with OPA Paint Out. Click here for information). You do NOT have to be an OPA member to attend. If you want to stick around, I will be giving a demonstration and lecture at 5:00 PM. The cost for this portion is $50. See details below. Limited Seating. Reservations Suggested. Click here to reserve your space. More information, please visit Sedona Arts Center. This year we are on our way to Tucson! As always there are lots of surprises in store. I hope you'll join me painting every day in the field, listening and watching the world's top artists, and grabbing some amazing deals from the best art supply vendors. Does the water appear light; does it look dark? How do I make it seem to be moving? How do I paint it calm and still? Why do my waves look flat and my sparkles look corny? The earth is covered in roughly 70% water, yet how much do you comprehend about how to paint it? Lori Putnam will simplify what you need to know. Once you absorb just a few principles, you will understand what clues to look for and begin seeing water's shapes more easily. That means you will also have a lot more fun painting it! This crash course and demonstration on painting water will have you making a few waves of your own in no time. 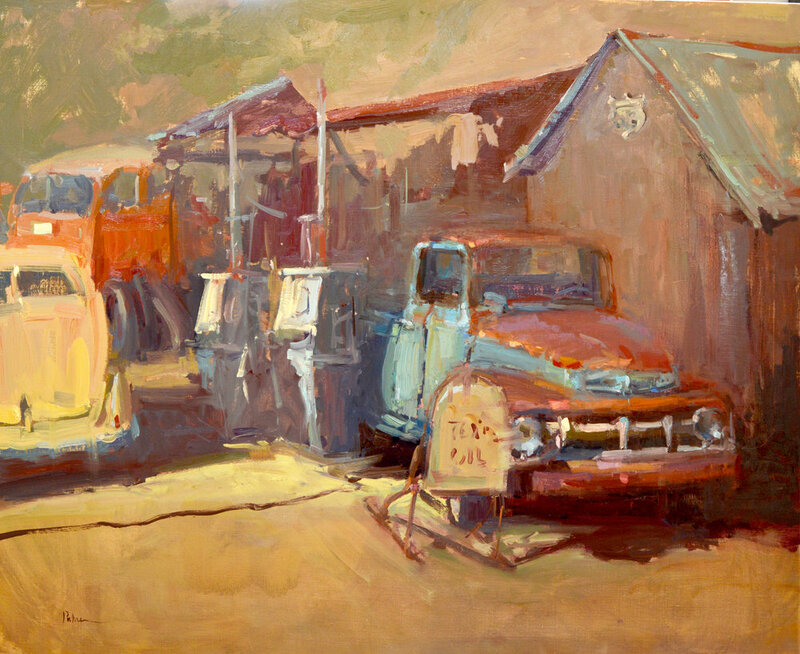 Visit PleinAirConvention.com online to read all about the convention or to register. Demo & Lecture Event: "An Afternoon with Lori Putnam"
For more information, visit Plein Air Florida.